I am always surprised, and not particularly amused, by the fact that CAP has so many IGs (and lawyers) who spend so much time attending to the “Q” or complaint side of the two major roles of the Inspector General Program. With ECIM in use, tracking such data and producing charts allows the National IG/Q to see information and trends that are worthy of sharing with the IG community. Cases filed for the past four years average 124 in number and are fairly consistent. If applied to the total membership, this represents 0.21% of the members have filed complaints which have been logged into the ECIM data base. 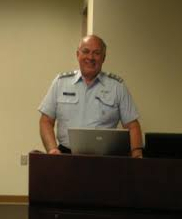 Looking at 897 cases that have been filed since 2006 through November 2014, the major issues alleged have been “abuse of authority” with “cadet protection issues” and “conduct and ethics code” allegations having the dubious honor of a tie for second place. There is also a surprise that while we are in the complaint resolution business, our “assists” number only 39 or 4% of the total cases. The allegations of violations of CAP standards represent 37% of the total complaints logged. So far in 2014, with 122 cases logged to date, “abuse of authority” allegations lead with 22% of the claims followed closely by “cadet protection issues” and “conduct and ethics code matters”, all of which is consistent with the six year trend. Also striking is the fact that in 65% of the 897 cases reviewed, no action was taken; in 15%, the issue(s) were referred to wing or region commanders for resolution. What is the “take away” from these data (aside from the possibility that IGs may be entering incorrect or insufficient data into category fields of ECIM)? It is that CAP membership perceives that commanders are abusing their authority and perhaps lack management and leadership skills that are necessary to meet the demands of this volunteer organization. Secondly, the number of cadet protection issues being raised demonstrates that some additional training of cadet leaders needs to be made and that cadet expectations need to be addressed. Coming as a close third, there is a perception that we may not be adhering as much to the CAP core values of membership conduct and ethics as we believed. The number of entries of “no action taken” over the years, given the serious nature of the majority of complaints, again points to command issues which need to be addressed. As IGs, we are supposed to be the “eyes and ears of the commander” to report facts for command action. The summary of issues and resolutions (or lack of action) from a mass of data that you IGs enter is another opportunity to assist your commanders to make our organization better. We must also be certain that the entries into the various data fields of ECIM are correct and are supplemented with case notes as may be necessary. ECIM data has little value to IGs or commanders if incomplete and/or incorrect as the issues and trends that are so important as management tools would be misleading. Please be especially mindful to do your part to make the ECIM utility a valuable resource. Be the first to comment on "CAP Inspector General Complaint Trends"